I'm always on the look out for new skincare products to not only help keep my skin moisturized, but also one that helps keeps my skin looking smooth. I had the pleasure to review Eau Thermale Avène DermAbsolu, an anti-aging care line that can be used on sensitive skin. I was quite impressed with the packing and the product bottles, very cute. I was sent the reconturing serum, defining day cream, night balm and eye cream. 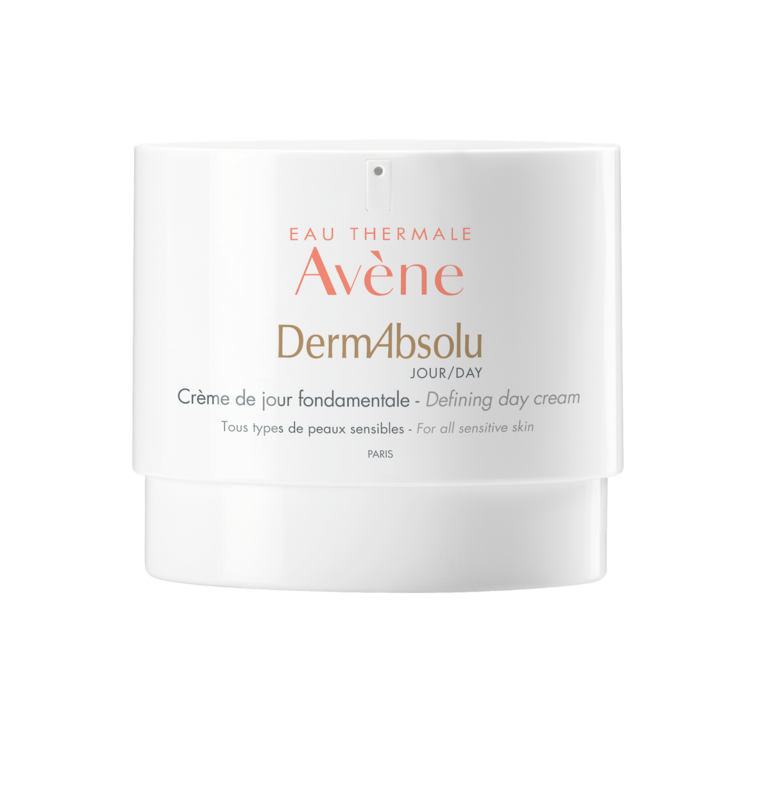 I absolutely loved the Avene DermAbsolu Defining Day Cream. The day cream prevents signs of aging and adds moisture to the skin making the skin firmer and fuller. Before I started using Avene DermAbsolu Defining Day cream I had skin that was dry in the beginning of the day and got oily as the day progressed. Due to this combination it was always hard to manage. I would try random products and lotions and it would either be too oily, or make me break out. I needed something to soothe the dry skin but still provide the moisture so the skin doesn't produce oil on its own to compensate and this product does just that. Retailed at $58 and worth every penny. Avene DermAbsolu Night Balm is excellent. Retailed at $59, it absorbs readily into the skin and doesn’t leave my skin sticky. I would apply it before I go to bed and wake up with a smooth face that feels regenerated and nourished. The Balm is very lightweight and feels wonderful on my face. 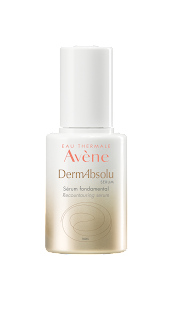 Next for me to try was the Avene DermAbsolu Face Serum, I have to admit I have not tried face serum ever in my life and wasn’t too sure how I would like it. Retailed at $62, the face serum is a deep-acting skin serum that solidifies and gives light to the skin that has lost its vitality. Wrinkles and fine lines are reduced and at the same time facial features get more fullness. I didn’t use this every night because it just wasn’t for me, I don’t care for the oily feeling on my face and felt that I would break out. I tried for three days and used this as a serum and applied a moisturizer on top then applied make up, which worked great. Last to try was Avene DermAbsolu Youth Eye Cream. Retailed at $47, the eye cream relieves swelling and darkness in the eye area. It cream helps to slow down the appearance of age signs, while the unique anti-aging ingredients treat the eye area. I was very skeptical when trying this product as I have tried so many of these types of creams for dark circles and saw no change. I started this product having dark circles and puffiness and with time my puffiness and dark circles have reduced. I feel like I look less tired and I can say my dark circles and puffiness have calmed down, I can see a big difference. 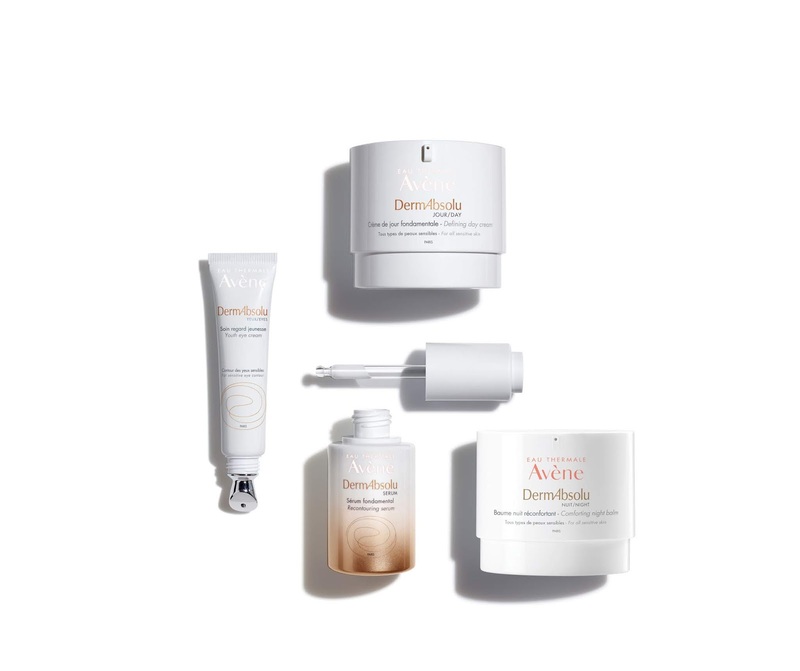 Overall I have to say I am truly impressed with this anti-aging line of products and I am so excited to be able to offer our Canadian readers a chance to win the all four products! Comment below letting me know which of the four you're excited to try! the youth eye cream is on my wish list - I can never have too many eye creams -- something about them that I just love! my eyes can always use some help! I'm excited to try the Avene DermAbsolu Defining Day Cream. I am most excited to try the Avene DermAbsolu Youth Eye Cream. A product that works on dark circles and puffiness would be fantastic. I am most excited to try the eye cream. I'm excited to try the Avene DermAbsolu Night Balm on my aging skin ! I'd love to try their Reconturing Serum! I am most excited to try the Avene DermAbsolu Youth Eye Cream. This morning I was "admiring" my dark circles and puffiness around my eyes and thinking how I need to take action!! I am most excited to try the Avene DermAbsolu Face Serum as I love great serums. I am excited to try Avene DermAbsolu Youth Eye Cream! The face serum sounds cool. The youth eye cream as I dont want crows feet! I'm most excited to try the eye cream. I am most excited to try the day cream! I would love to try the Avene DermAbsolu Night Balm. Looking forward to trying the Avene DermAbsolu Face Serum. I would love to try the Avene DermAbsolu Youth Eye Cream. I have had dark circles since I was a kid and have tried so many disappointing things. I would love to try the Avene DermAbsolu Night Balm. I would like a night moisturizer that is absorbs quickly and doesn't leave a sticky feeling. I would most like to try the Youth Eye Cream. I'm looking forward to trying the face serum. I am starting to get wrinkles around my eyes now so I would most like to try the eye cream! I'd like to try the eye cream I'm showing my age too well. I'm most excited to try the Avene DermAbsolu Night Balm! I'm excited to try the eye cream, I need help with the dark circles around my eyes. Avene DermAbsolu Face Serum looks amazing, I love serums and definitely want to try this! The day cream is the one I'm most looking forward to. Still have yet to find my holy grail skincare. I am excited to try eye cream! I'm most excited to try the Avene DermAbsolu Youth Eye Cream. I would like to try the Avene DermAbsolu Youth Eye Cream as I have mature skin. I would like to try the Avene DermAbsolu Face Serum.